Available for sale 1 year old female, dysplasia free (HD-ED-Free) as well as JLPP-Free (clear - N/N). Perfectly healthy and well developed, dark eyes and mouth pigment, correct scissor bite, straight back, friendly temperament, house & crate trained. 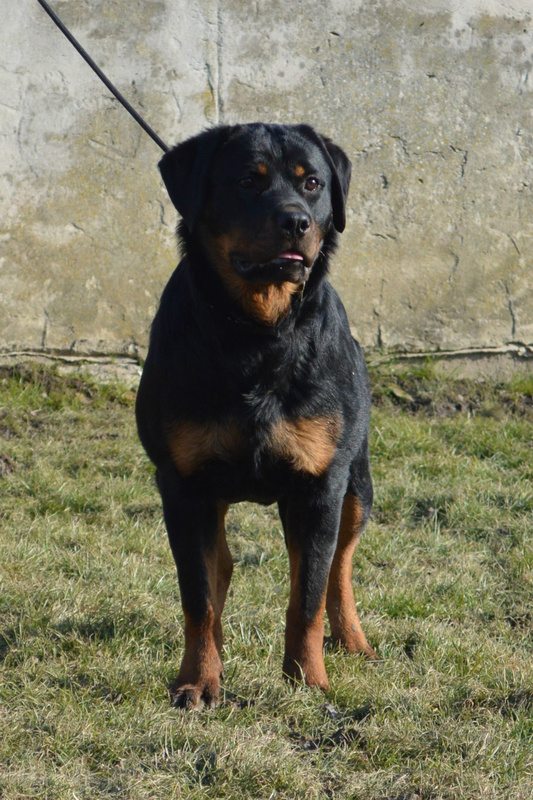 Sire is Champion of Serbia, dam is imported from Germany (pink-papered, granddaughter of Filou vom Räuberweg and Kliff vd Crossener Ranch), and they both have many of the most famous German and Serbian dogs in their 5 generation pedigrees. Vesper comes with full breeding rights and a health guarantee.